Nature conservation is only an excuse for more development? The Hong Kong Bird Watching Society (HKBWS) agrees with the need for a strategic planning and supports environmentally sustainable development. However, Hong Kong 2030+ did not equally considers the environmental, social and economic needs of Hong Kong for a truly sustainable development of the city. The proposed strategic planning is still heavily development and economy driven with a lack of commitment in nature conservation, as it is now. Even though terms like “sustainable” and “green” were frequently mentioned in the consultation document, the proposed developments and conservation actions seems far from what these terms actually mean. There is a lack of measures designed with the primary and specific intent of protecting Hong Kong’s biodiversity and quality of life, no changes in the currently flawed system which allows ongoing ecological destruction of habitats, no recognition and protection of buffer zones, and no comprehensive policies to allow conservation and agriculture to be sustainable. 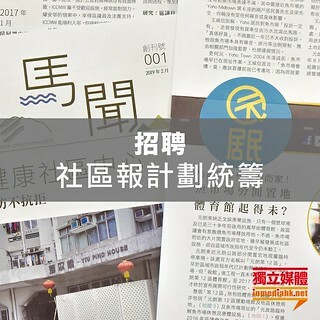 Moreover, we consider that the Government has simplified various social issues in Hong Kong, claiming that the main reason is the shortage of land supply. Apart from unaffordable housing, there are other social issues, such as disparity between the rich and the poor, environmental pollution, distrust of the government, injustice in the current system, which has torn our society into pieces. Without identifying and facing the real causes of all these social issues, problems would not be solved; but instead would intensify the unnecessary dilemma between social needs and nature conservation, damaging both the public interest and the natural environment. The sustainable and green vision that the Government has for 2030 and beyond would not be reached. The HKBWS considers that the Hong Kong 2030+ is a golden opportunity for Hong Kong to restore the harmony within the society and to integrate environmental and ecological sustainability into the city’s long-term planning and development process in order to tackle the on-going social and environmental problems that we have been facing. Below is a summary of our comments on the consultation document, primarily focusing on the conservation and protection of Hong Kong’s natural assets. Nature conservation is not only important to our environment, but it is also vital for better health and well-being, increase in quality of life and thus generating economic benefits. Although there are areas of well-recognized conservation importance, the long-awaited designation of country/marine parks only occurred when there is a development need (e.g. it is suspected that the designation of Southwest Lantau Marine Park and the Sokos Island Marine Park is to make way for the Hong Kong Airport Three Runway System). Some conservation measures are in fact mitigation measures of development projects (e.g. Brothers Marine Park is related to the Hong Kong-Zhuhai-Macau Bridge development). We are concerned the so-called “environmental capacity” created would only be an excuse for more development elsewhere. Protect and enhance our environment requires commitment to nature conservation. However, the proposed development framework failed to avoid ecologically sensitive areas (e.g. reclamation at Lung Kwu Tan affects the habitats of horseshoe crab and Chinese White Dolphins). We consider that biodiversity conservation is still far from full scale integration into Hong Kong 2030+. It is also uncertain if BSAP will expand beyond the first five years and if a nature conservation trust will be set up as part of the long-term conservation measures. Loopholes in existing legislation has allowed the ongoing ecological destruction of natural habitats. We constantly come across no enforcement power from Planning Department for areas without Development Permission Area (DPA), damaged wetland habitats were not reinstated back to original condition, dumping of construction wastes on private wetlands are permitted with the consent of the land owner, and the current Environmental Impact Assessment (EIA) system failed to effectively avoid or minimize adverse impacts. Changes in current policies and legislation is necessary to plug the loopholes for effective protection of Hong Kong’s natural assets. Buffer zones (e.g. Wetland Buffer Area, Green Belt, Agriculture zones, etc.) may not all of high ecological and conservation value, yet, they have an important role in protecting and enhancing the conservation value of the core areas, i.e. prevent undesirable disturbances and developments, reduce the edge effect. We consider that the Government should not use these buffer zones for development, to avoid today’s conservation areas in becoming tomorrow’s buffer zone. The multiple importance of fallow agricultural land is neglected in the document (including its ecological, landscape, recreation and buffering value) and is not considered as a green asset of Hong Kong. Currently there is an enormous gap is between the land value of agricultural land for development and that for cultivation, which has led to the destruction and loss of arable farmlands. Without a comprehensive policy on agricultural land and loopholes in existing legislations not plugged, we are concerned the proposed “Agricultural Priority Areas” will only initiate more destruction than protection. Terrestrial, aquatic and marine habitats from urban to countryside are all included in the green-blue assets. However, it is important to distinguish between habitats in urban and in rural areas as they have different ecological sensitivity and management strategies for maximizing their unique functions in the city. We consider that the proposed blue-green strategies are only suitable for enhancement of the urban environment but not for strengthening the protection to our rural and countryside. We are concerned the generalization of our natural assets to green and blue will eventually lead to a loss in our natural environment. We object to the ELM as the large scale reclamation and the transportation connection to Mui Wo would lead to significant adverse ecological impacts to the marine environment and to the unprotected South Lantau Coast. The human activities of such a large population (i.e. 400,000 to 700,000) on ELM will also inevitably lead to undesirable disturbance to the neighbouring islands of conservation concern (e.g. Sunshine Island and Hei Ling Chau). A comprehensive ecological assessment should be conducted before proposing any development projects to assess if the area is suitable for development. The San Tin/Lok Ma Chau development node encroached into Wetland Buffer Area, and together with the proposed Lok Ma Chau Loop development, would further fragment the Deep Bay ecosystem and affect the flightline of birds. The Man Kam To Logistic corridor would intensify urban sprawl and lead to more destruction and disturbance to the adjacent agricultural lands, wetlands and fishponds of conservation concern. As hobby/leisure farms are currently loosely regulated, we are concerned the promotion of Eco/Agro-tourism in NTN would actually lead to more destruction for recreational uses on paved areas and less area for cultivation, thus more arable agricultural land is lost. The timeline for Hong Kong 2030+ seems to indicate that there will be just one stage of public engagement, which cannot generate any meaningful dialogue between the Government and the public, and would lead to high level of public disappointment. The findings of all technical studies and assessment should not be used to polish up the proposed planning framework, but should be provided as the basis of the public engagement discussion. There should be indicators for monitoring and reviewing Hong Kong 2030+ such that the city to be adaptive to future changes and to avoid over-exploitation of natural resources.